I do not follow collegiate sports, generally speaking. ** Nor do I watch major league sports. I guess you could say I'm not a "team" person because the sports I'm attracted to watching (and playing) are singular activities: golf, tennis, running, biking, swimming. I am, however, a tenured faculty member at a large southern university that has a very active sports culture (more basketball than football, but we have our share of football fans too). And as a faculty member dedicated to the education and enrichment of the Southern U. student body, I am very interested and invested in discussions about the place of NCAA sports on college campuses. Which is why I tuned in to the 9am EST press conference at NCAA headquarters to announce the sanctions against Penn State in light of the Freh report--the report that detailed the failure in leadership to report the sexual abuse that Jerry Sandusky carried out against scores of minor children he purportedly was mentoring. 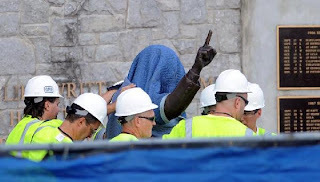 The failure reached the upper echelon's of Penn State's administration and including the much revered and beloved "Joepa"--Joe Paterno, who had once-upon-a-time been the most winningest coach in NCAA collegiate football. *The evacuation of the wins they accumulated from 1998 (the date at which the abuse came to light at Penn State and therefore the date that marks the failure of Penn State's leadership to end Jerry Sandusky's sexual predatorship of young boys) to 2011. *A ban on post-season games (bowl games) for the next four years. *A $60 million dollar fine (the equivalent of revenue that the football program typically generates during a football season) to be donated to an organization to help prevent sexual abuse and to support survivors of sexual abuse nationwide. "Football will never again be placed ahead of educating, nurturing and protecting young people . . . the culture, actions and inactions that allowed them to be victimized will not be tolerated in collegiate athletics"
However, I'm skeptical of whether these sanctions will actually change the culture at Penn State, at Southern University, or any other college or university that fields a major sports team that competes on a national stage, particularly in division 1 sports. It sounds pretty to say that we want to emphasize education over sports--that we value and privilege academics over athletics. But I know that if I assign work the night of a basketball game, there's a great chance that only 50% of my students will do the assignment, study for the exam, hand in a complete final paper. And they will grumble--at me and my colleagues--for not checking the basketball schedule and assigning work on a game night. And heaven forbid if Southern U wins the national championship--I ended up cancelling class once I realized that students were simply not going to show up but would, instead, be headed over to the basketball arena to welcome home the national champions. I like the Southern U students very much. They are an incredibly intelligent, diligent, responsible, and respectful group of students. But they are also fiercely loyal to their sports teams--to call them sports fans is just a shorthand for saying sports fanatics. When I first came to Southern U, I vowed not to bend to student pressure to revise my syllabus based on the basketball schedule. After a decade of teaching here, there is a reality that has set in--an acceptance of the culture that I find myself in, a culture that prioritizes and privileges college sports--if not above academics then I'd say it's an event split--certainly academics are not placed about college sports by a vast majority of students. And I don't think that the culture of Southern U is any different than at Penn State, USC, Michigan, Virginia...pick your Division I school of choice. "These are values and mindsets that have to be established in each and every community across the country. Never believe for a second that you can put blind faith in your leaders to do what's right. As we've learned time and time again, people are fallible, and if unchecked they can do great damage to communities and the institutions they are trusted with." **I have to add the exception of basketball at Southern U. Not to watch Southern U. during basketball season is like not being a Red Sox fan when you live near Fenway Park--unheard of and it can be dangerous not to understand the culture of the community you live in. The second exception, of course, is that I am a Jeremy Lin fan and watched as many of his games as I could during the past NBA season. ***Joelle and I went to UCSB together and is a dear friend of mine--and I am SO PROUD of the work that she does on behalf of victims of sexual abuse. While most people have probably heard of Title IX and think of its main application in terms of providing equal access for girls and women in high school and college sports, many people may not know that (1) Title IX was actually proposed with the idea of equality of education for women and covers 10 areas, including equality in sports (2) The principal architect and sponsor of this bill -- a bill that was subsequently renamed in 2002 to honor this congressperson's achievements, is Patsy Mink. Patsy Mink was an extraordinary woman. She was born Patsy Matsu Takemoto on December 6, 1927 and grew up on a plantation in Maui, Hawaii (although it should be noted that her father was one of the few college-educated plantation employees -- he was a land surveyor -- and received a very good salary, certainly better than the laboring plantation workers in the fields). Mink wanted to become a doctor, but found that a combination of sexism and racism barred her from medical school. So she got a law degree from the University of Chicago, but subsequently found that a combination of sexism and racism prevented her from being hired in both Chicago and Honolulu. So Patsy Mink got involved in politics. 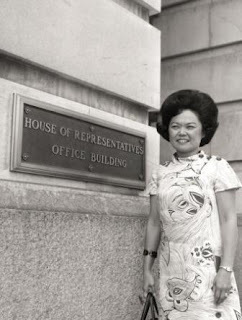 And while the path to Congress would take too long to recite in this blog space, the important thing to know about Patsy Mink is that she became one of eight women in the House of Representatives and, most significantly, she was the first woman of color, the first Asian American woman, the first Japanese American woman, to serve in Congress. PBS is airing a documentary, Patsy Mink: Ahead of the Majority, which you can watch on-line through July 31, 2012 (click here for the link to the Independent Lens website and here for a link to the filmmaker's website). It's truly a wonderful documentary that chronicles the life of a truly extraordinary woman. A woman who was a true liberal lion--who spoke out against the war in Viet Nam. Who fought on behalf of women and poor people. Who always spoke up for what she believed in, even when her opinion was a minority opinion and not well received. She was one of the 66 people who voted against the Homeland Security bill post-9/11. And, as noted in the beginning of this post, she fought for equal access for women in higher education--because Title IX forced colleges and universities to open up the admission process in graduate and undergraduate admissions to women, enabling the current equity we now see for women entering medical and law school. June 23 marked the 40th anniversary of the passage of Title IX -- I am a direct beneficiary of its passage. 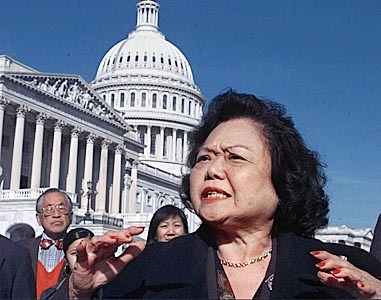 I am a direct beneficiary of the legacy that Patsy Mink left in terms of her public service, in terms of her fighting for social justice, in terms of her breaking down barriers and showing up as an Asian American woman at a time when that phrase "Asian American" wasn't even in existence and when a woman's place was believed to be in the kitchen not the halls of Congress. Title IX expanded educational access for women--I don't know the faces or names of the countless women who have been impacted by Title IX, but I do know the face of one woman who was key to its implementation. Four years ago, I introduced a series called the T.G.I.F. Award, which stands for "The Great Impossible Feat" -- and although it's been a while since I last gave out one of these, I think it's very appropriate and long overdue to honor Rep. Patsy Mink for all her many contributions to helping people in the U.S. who would otherwise not have a voice--women, people of color, poor/working class people. Thank you Patsy Mink, especially on behalf of all young girls, THANK YOU! 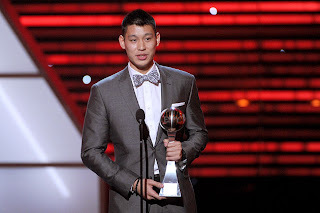 As most of the world who follows the NBA or Asian American athletes or the very fine intersection of the two in the singular figure of Jeremy Lin now knows, Lin is moving to Houston to join the Rockets because the NY Knicks wouldn't match the Rockets' offer. 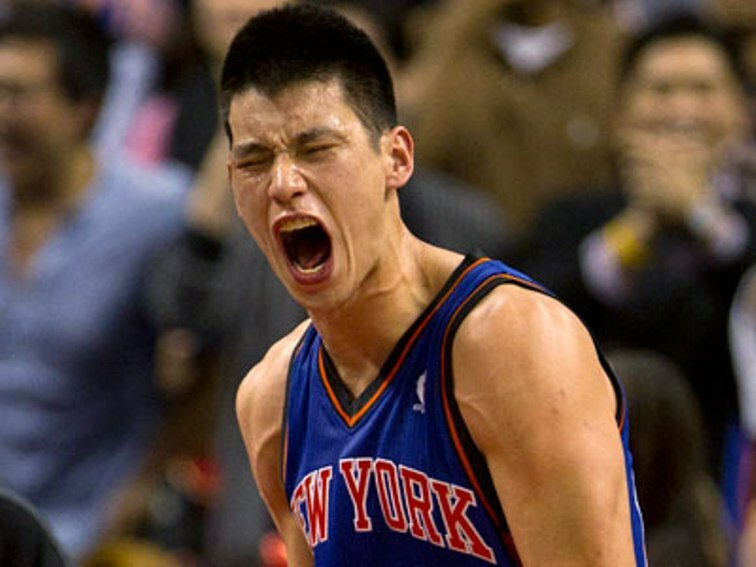 Like Yu, I am a Lin fan, not a Knicks fan. In fact, I have been a Lin fan from back when he was playing in the Ivy League and awarded him a T.G.I.F. (The Great Impossible Feat) back in February 2010. Who knew that just two years later, I'd have caught the fever called Linsanity. Farewell Jeremy. I hope Houston treats you right. Most importantly, I hope that you have an AMAZING season/career such that the Knicks and all the fans in NYC and around the world will weep at this decision. I, for one, am just excited to be seeing you play and to know that you are getting what you deserve--a salary and recognition to match your talent! So long NYC! I'm headed to HOUSTON!!! "But here's what I am confident saying about Dolan on the subject of Lin's ethnicity: he has absolutely no grasp of what Jeremy Lin really means as a cultural phenomenon. It does not pierce his bubble. It stirs no emotion in him. He doesn't understand what it means for millions of people in this country, and around the world, to watch the first Asian-American superstar athlete excel on the highest stage, and what it means to have that player wearing the uniform of his team. The pride, the joy, the inspiration, the transformative effect it can have on an entire generation of kids." This weekend I attended a friend's wedding. It was absolutely lovely, a lot of fun, and the epitome of this blog--Mixed Race America. The bride is a white Mennonite from Canada. The groom is a Chinese American born to Taiwanese immigrant parents. The guests were a mix of various ethnicities and races--and a great number of them were "foreigners" -- Canadian family members and immigrants (many of whom have since become naturalized citizens) from China, Hong Kong, Taiwan, Guatemala, Viet Nam, and Argentina. And there were multiracial guests: white-Chinese, white-Indian, Chinese-Guatemalan. One of the running jokes was that I was one of the few true "Americans"--one of the few guests born and raised in the United States. "A close look at the Word of God proves he is against mingling"
"White Christian Male under attach from both left and right"
your comment caught up with you"
"your comment caught up with you"
I may be over-reacting, but it sounds vaguely threatening, definitely sinister, absolutely not friendly. So in part I'm calling on the collective wisdom of my blog readers--should I be worried and/or should I report H.J. Rossi's comment to Blogger and/or to Gmail--is it threatening? And/or is shedding light on his hatred just putting oil on the fire? That dawns on me too--that I am giving him exactly what he wants--a platform for his vitriol. An audience whom he can irrationally antagonize. So one thing I'm really going to ask folks to do is to NOT leave comments on his blog--to NOT engage him and give him air time. I'm sure this is why he has his own blog and why he left the comment on my blog and emailed me--he wants to goad me--he wants to get me mad. I'm not mad. I'm a bit nervous that he might decide to take this too far and harm me, but mostly I see his comments to me as a reminder that there is still hatred out there. Rossi may be an outlier in terms of his particular brand of mean spiritedness and his blatant racism--I mean, it's been a while since I've actually had someone tell me that "race mixing is a sin." In fact, I don't know that I've ever had anyone say those words to me directly or write these words to me before. Which is pretty remarkable when you think I've been blogging at this site for over five years and this is the first time that a real true died-in-the-wool racist who hates multiracial people, inter-racial couples, and the idea of people of different races being friendly actually leaving a truly racist comment. Although I don't identify as Christian (I'm a lapsed Catholic who is agnostic and open to various forms of spirituality in the sense that I wouldn't say anyone's faith is better or worse), I think that the Christian thing to do with Rossi is to try to approach him with a spirit of loving kindness rather than rancor or rage. I'm sad for him--because living with that much anxiety and fear of a mixed race America must be an awful way to live--an awful weight to carry around, even if he isn't feeling it as such. I suppose another perspective is to wonder about mental health issues. I'm not trying to be patronizing, but in this day and age, with a mixed-race president and so many inter-racial couplings and multiracial people, you have to wonder whether or not it's a sign of pathology to invoke genocide and sin with the idea of race mixing. Finally, Philadelphia Cream Cheese came out with a second commercial featuring an inter-racial couple--this time a black man and a white woman enjoying breakfast in bed--ENJOY! I realize that I've been a sporadic blogger. I promise that I'm not going to begin every blog post in which I haven't posted in over a week with this kind of apology, but I've been trying to figure out why I haven't felt the need to blog on a regular basis. I was looking at the stats in my archive (right side bar) and in 2008 I was at the height of my blogging life--I was probably blogging at least twice if not 3 or 4 times a week. And then things tapered off, with last year as the all-time record low of 34 posts--less than a post per week. So I have to ask myself--why blog? Why do I keep this blog--and what do I want to do with it? I suppose I've been thinking A LOT about blogging because for part of my new book chapter I've been reading a lot of blogs (part of it deals with blogging--not ready to talk in specific details about the book chapter yet, so I think I'll just leave it at that) and I've been remembering back to 2008 when I was blogging on a regular basis and I had this whole community of people leaving comments and probably folks who were lurking and linking back to my blog. And I met so many amazing people--fellow bloggers like Tenured Radical and Tami from What Tami Said and the folks at Love Isn't Enough. What was different in 2008? I was on leave (technically I was on leave from Fall 2007-Spring 2008) I was beginning my book manuscript (the same one that I'm still working on). Which makes sense that in 2009 it dropped off as I was in the thick of teaching and writing. And then BAM, April 2010 I get my cancer diagnosis. So it, again, makes sense that 2010 and 2011 were not going to be big blogging years for me. And now I find myself, 5 years from when I started this blog, on another year-long leave from the classroom--this time finishing the book project on racial ambiguity (back then I thought I was writing about passing). I also find myself missing having a regular community of commenters and being a regular commenter of the blogs that I used to read on a daily basis. What this all means is that I really hope to be blogging more regularly and to be reading blogs more regularly. There are some mighty smart folk writing about race--and I want to be part of that community again. Or perhaps more accurately, I want to be a more active participant in that community. Here's to good intentions! It is July 1 -- the middle of summer. The time of year when, if you are an academic who is working on a project, you wonder and worry about how much time left before the start of the school year and putting your research project on hold. In my case, I am blessed with enormously good fortune. I will be on sabbatical all next year. 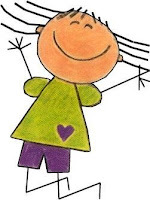 I will not have to teach fall or spring semesters. I am not teaching this summer or next summer. I am simply researching and writing. The goal: finish the book. I start here because I'm in the thick of reading about adoption. Mostly U.S. adoption. Mostly transnational adoption. Mostly transnational/transracial adoption between white American families and Asian adopted children (mostly girls, mostly from Korea/China). There's a lot that's applicable to a blog called Mixed Race America in terms of these kinds of issues. I will say that historically, in the U.S., multiracial children have had the hardest times being placed for adoption and that many agencies had very racist restrictions against placing multiracial children because the idea was that (1) you should match children to parents -- blond headed blue eyed boys with blond headed blue eyed parents (2) if you matched successfully you would never need to tell your son/daughter that s/he was adopted. Multiracial/mixed race children obviously complicated points #1 & #2. 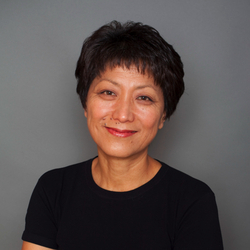 The point of this post is really to highlight an exceptional filmmaker: Deann Borshay Liem. Liem has two documentaries that chronicle her adoption from Korea: First Person Plural and In the Matter of Cha Jung Hee. I teach First Person Plural in my classes, and I had the pleasure of seeing In the Matter of Cha Jung Hee when Liem screened it at the Association of Asian American Studies conference two years ago (I've since purchased a copy). Both are remarkable films--very moving, very thought provoking, very insightful into the politics of transnational adoption and the complicated layers of belonging and family-feeling in transracial adoption. Currently, Liem is looking for financial support to finish her film--which from the looks of the trailer is going to be an incredibly powerful, moving, and important film. She has a Kickstarter campaign and there's 30 more days for her to reach her goal of $75,000 (she's already raised $14,000+). If you are as moved by the trailer to her film as I was, please consider giving, even just $5 to her Kickstarter campaign (and you can find the page here). Of course for $100 you can get a signed copy of the film and the satisfaction of knowing that you helped a very talented filmmaker finish what is sure to be an excellent film.